Guaranteed Unliminted Gold Bands Included In All Accommodations At Lifestyle Resort! As a 4X Platinum Supreme Shareholder and now "Chairman's Circle Club Member". As my guest you will have preference over other members guests and will have access to VIP areas and VIP amenities that other guests of other members will not. Chairman Circle affiliate guests will have priority over other member guests at the resort. There are five beach areas you will have access to and each beach area has something unique from the others. The beaches included are Serenity, Harmony, Lifestyle, NV and VIP beach area. You also will have access to the VIP pool area and all pool areas throughout the resort. You will not pay extra for the Gold Bands. Lifestyle is a mandatory all inclusive resort and the fees vary depending on the accommodation chosen. Contact me for the rate in the villas. You will have priority in the accommodations when booking through me than any other VIP member at Lifestyle resort. -Golf cart with your villa reservations! -VIP Restaurant reservations! 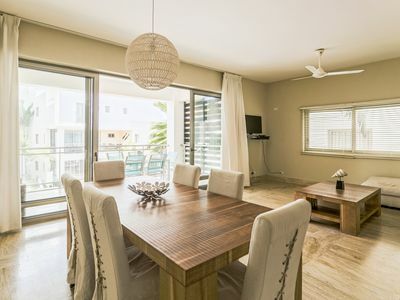 There are over 15 a la carte restaurants at Lifestyle resort and you will be able to make dinner reservations in the top VIP restaurants with your VIP service representative when you check in. -Refrigerator stocked daily with water, juice, beer, soda. -Free Ocean World tickets! Ocean World is like Sea World with dolphin, sea lion ,bird and shark shows, a bird sanctuary, white tiger, snorkeling! Swim with the Dolphins or encounter the Sea Lion or shark! -Free bottle of liquor ordered for your suite or villa, ( one per adult per stay)! -Access to the top VIP beaches and pools including Serenity, Harmony, Lifestyle, NV and VIP beach areas as well as the VIP World pool and sports bar! -Nightly entertainment- Shows in two different theaters on site, live music by the Main pool, Cofresi pool and Presidential suites pool. -VIP Welcome Party on the Peninsula every Sunday night! This is truly a spectacular event not to be missed, with a huge 5 star buffet, entertainment, singers, dancing , live bands, DJ and fireworks overhead! -30% off all spa treatments! There are two beautiful modern spa's on site with many different beauty treatments, massages, etc. - Private Maid service and villa and suite cleaning daily. Breakfast will be prepared daily in your villa! -Free transportation from Puerto Plata airport to and from the resort! - Two work out facilities on site! - New Sports complex with basket ball or hockey courts, tennis, wall climbing, miniature golf, archery, bowling and trampoline. ( extra cost for this facility). -Daily pool activities, aerobics, games, etc. -Excursion center which offers many different excursions including snorkeling, zip lining, cable car through the mountains, rum factory, horseback riding, deep sea fishing, catamaran trips, and more! - Free round of golf at Los Mangos golf course! ( greens fees only). Lifestyle is a mandatory all inclusive resort. 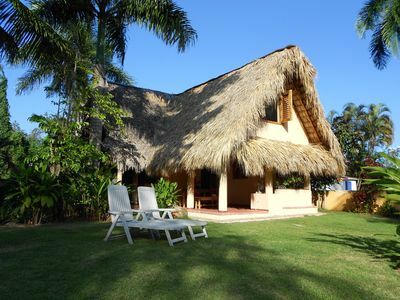 The price quoted for the villa is for the villa rental only. 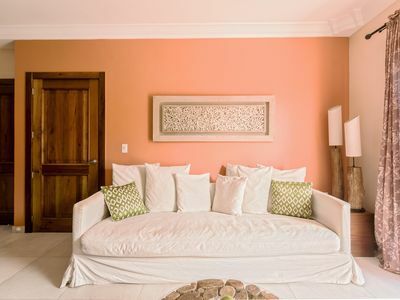 The all inclusive price varies depending on the accommodation. Contact me for the all inclusive rates. The 100 plus, Crown Villas are located in Lifestyle Holidays vacation club! The villas with their Mediterranean style architecture range in size from 3 to 7 bedrooms, all with ensuite baths, full living area, kitchen and dining areas as well as two story veranda's, private yard and swimming pool. Your own private maid will cook breakfast in your villa daily upon request and clean and stock your villa daily. 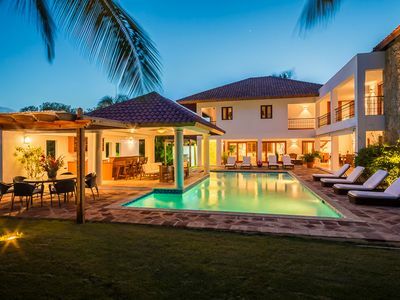 For other information on the Lifestyle villas and suites I offer, see my listings ( 4 bedroom villa #1154896, 5 bedroom villa #1154951, 6 bedroom villa #1154972, 7 bedroom villa #1155000, Studio Presidential suite #1155866, 1 bedroom Presidential suite #1155011, 2 bedroom Presidential #1155847, 1 bedroom Royal Suite #1155870, 2 bedroom Royal suite #1155883, 2 bedroom Penthouse suite # 1155885 and Deluxe Beachside suite #1155889.) Please see my listings for other accommodations available. For other accommodations available please contact me by the phone number on my listing site. Top notch service to my guests is my top priority as I will promptly answer questions or concerns you may have. You will have all the information on Lifestyle resort before arrival so you can relax and enjoy your stay! I want all my guests to get the most of what Lifestyle has to offer to make their vacation a truly fabulous, unforgettable vacation experience! 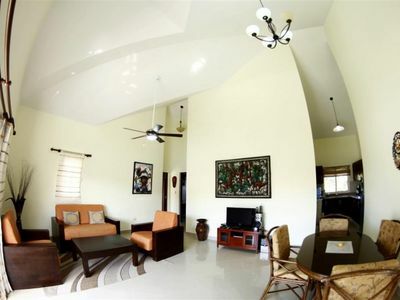 My husband and I visited Lifestyle resort with two of our five children in 2008 and absolutely loved the resort and the villa concept in particular as we have a large family and the villas are just what we needed to give us the space that our large family needed. 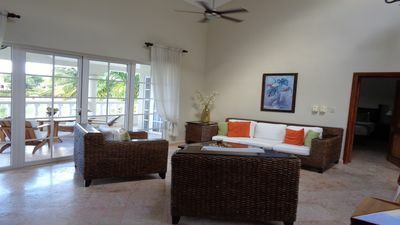 Having our own spacious home with a beautifully landscaped yard and private swimming pool in an awesome 5 star resort was the type of vacation destination we were looking for so we can enjoy our time with family and friends for years to come. We became gold members on our first trip to Lifestyle resort and eventually upgraded to the top level membership of Platinum Supreme Shareholder. We are now 4X Shareholder and recently became Chairman Circle Club members which is the highest level membership now at Lifestyle resort. Our guests will be given priority at the resort. We can pass on to you, our guest, the top VIP amenities at Lifestyle resort. We want you to enjoy all that Lifestyle has to offer, just as we continue to love our vacation experience every time we visit our home resort! Let us share with you this luxurious vacation experience! 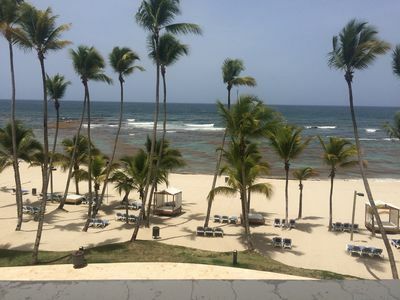 Throughout the years Lifestyle has continually expanded to include the addition of the Cofresi Palms area of the resort, 15 a la carte restaurants the addition of NV, Harmony, Serenity and the new Lifestyle beach in addition to the VIP beach. Several new areas of villa construction are now being completed and they are now breaking ground on a new area to include 48 new villas. Wherever you are in the resort there is breathtaking views! 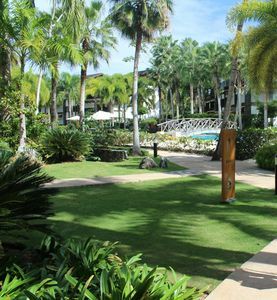 Whether you are at the beaches with all the palms and tropical landscapes, crystal blue ocean views, towering mountain views, or landscaped yards throughout the resort! This tropical paradise is second to none! You really feel like you are in a tropical paradise! 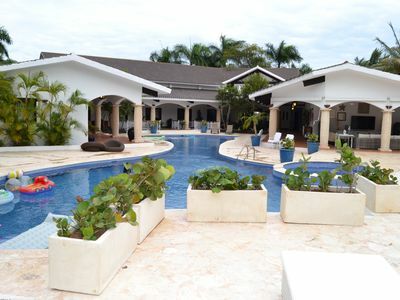 Come visit and see for yourself this exquisite vacation hotspot on the Dominican Republic's noth coast! The outstanding staff at Lifestyle are always friendly and willing to please! 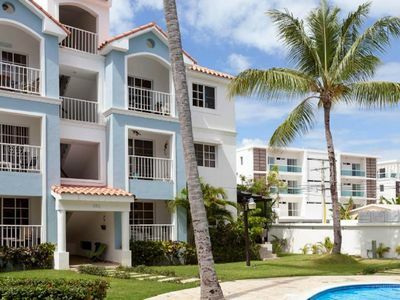 This all inclusive resort makes it easy to relax with a drink from any of many bars or enjoy a dinner or snack from the many excellent dining options. A golf cart is provided for transportation throughout the resort when reserving a villa. Shuttle service also runs throughout the day to take you anywhere within the resort! Your own private maid will make breakfast in your villa, served poolside on the veranda if you request her to. 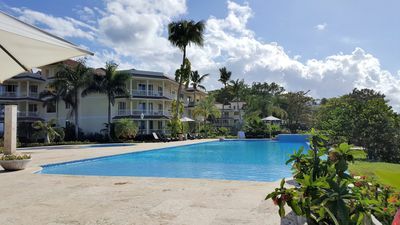 Whether you enjoy relaxing by your villa pool or at any of the many pools throughout the resort, or maybe you love to visit all 5 beach areas which all have something unique about them, wherever you find your peace at Lifestyle resort, this is your vacation destination that will go above and beyond all expectations! Thank you for visiting my rentals at Lifestyle Resort!